Distinguishing Characteristics Hispanic female. Graying brown hair, brown eyes. Carbonell Lozada has a small indentation on her skull, the result of a car accident in childhood. She has a vertical Cesarean section scar on her abdomen. She is of Cuban descent and speaks with a slight Cuban accent. She may use her last names together or separately. Carbonell Lozada was last seen in Pembroke Pines, Florida on January 26, 1992. She left her workplace, Exit Realty, driving a gray 1985 Buick Somerset Regal with the Florida license plate number FIZ92Q, and never returned. She has never been heard from again, and her vehicle has not been located either. A photo of a similar car is posted with this case summary. 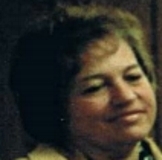 At the time of her disappearance, Carbonell Lozada lived in the 20400 block of 44th Court in what is now Miami Gardens, Florida, but worked Pembroke Pines as a real estate broker. Miami police are investigating her case, which remains unsolved.